After a week of interviews for desk editor positions with Managing Editor Joe Williams, we chose a staff of the hardest working student editors in the pool of candidates. However, we did not reveal to them the approaching changes — and we didn’t until we were given the OK from the powers that be. Then reality hit: Joe was going to be in Seattle all summer doing an internship with Seattle Weekly, and I was meant to overhaul how The Red & Black had functioned editorially for the last 20 years. I then broke the news to each desk editor, trying to keep them apprised each step of the way. Each reacted favorably and enthusiastically. They understood the sole responsibility of the paper was to provide the best hands-on experience for student journalists in the country, something the new format would foster. They believed we could pull it off. They believed that we could do so successfully. My next step was to create a detailed guide of how the website would function each day. I flipped through a few semesters’ worth of papers, counting how many stories each section averaged in the print product. (Most papers were six-to-eight pages; sometimes they were 10 and big days were 12.) I translated those numbers to what the website should have each day: News with approximately five, variety with three and sports with two to five. Deadlines were pushed up for all stories (website or paper) and read-throughs would be mandatory. Competition would be emphasized to get into the paper. But more than any other detail or component, I emphasized planning. Among other things, the photo department had to be on the same page with every section, as the new design of the paper would rely heavily on strong art and colorful photos for the fronts. So every Sunday before budget, we held a planning meeting in which section editors would run down their stories for the paper for the upcoming two weeks. They would coordinate with the photo editor and make sure the story idea was fully fleshed out. We continued our daily budget meetings to discuss the next day’s online stories and determine what time we should publish each story. 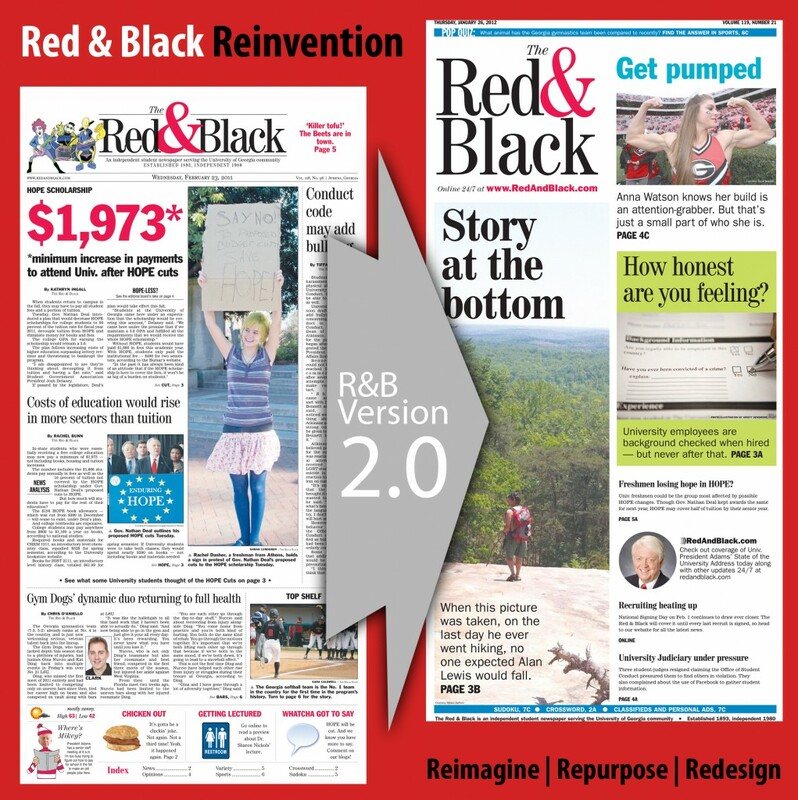 The two weeks leading up to the launch date of Red & Black 2.0, the editors diligently worked on the new product. It was one of the most trying times in my life — we published two papers the first week of school. There was no other option but for them to be stellar. That Monday, the first day of school, we published a 20-page newspaper with a four-page wrap to introduce our new format. In addition to the four-section paper, the website boasted 25 new items on the first day of class. As excited as all the editors were, we knew it would be a long semester. In week two, we found our routine. Staffers adjusted. 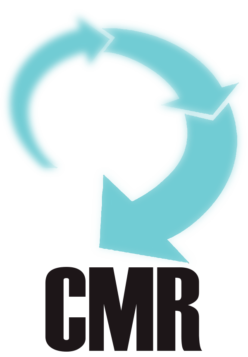 Our multimedia presence online grew. And the third newspaper in the new format won The Red & Black the Best In Show award at the annual CMA/ACP Convention in Orlando. The cherry on top came in December, my last month as EIC: My face popped out of an envelope. Editor & Publisher awarded redanblack.com a Webby Award for the Best Collegiate Newspaper in the country. All our hard work had been validated — the revolution had come to fruition. 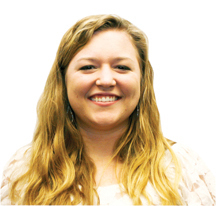 About Bowers: Rachel Bowers is a winter 2011 graduate from the Grady College of Journalism at the University of Georgia and served as The Red & Black’s editor-in-chief in fall 2011 to finish out her nearly four year stint with the college media outlet. During her time at The Red & Black she held the posts of managing Editor, sports editor, page designer and lead football beat writer. The Athens native is now a paginator for The Villages Daily Sun in Florida.